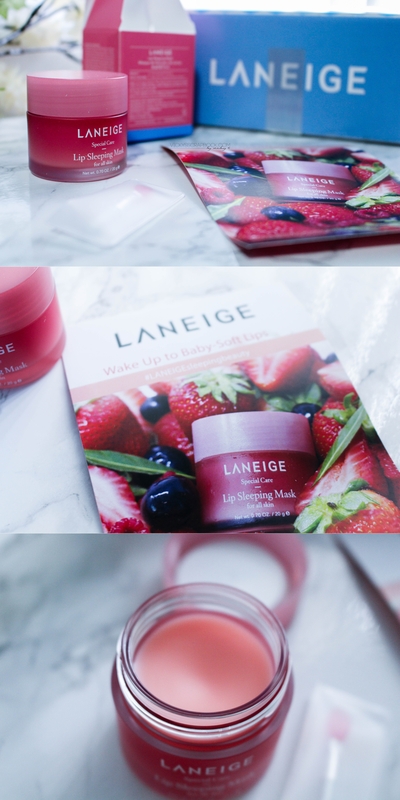 The Laneige Lip Sleeping Mask claims that you’ll “wake up to baby soft lips” and it’s meant to be applied overnight. 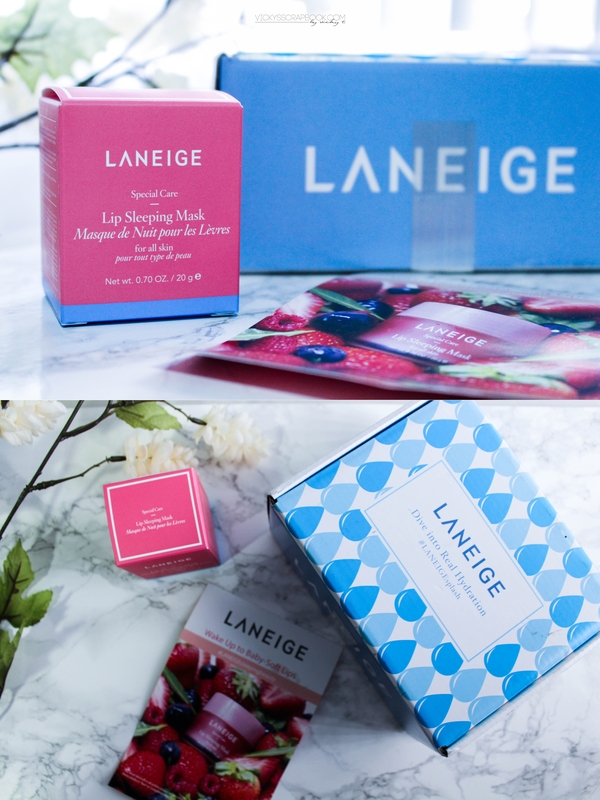 I was super excited to receive this product since I’m a big fan of the Laneige Water Sleeping Mask (read more about that in this previous post). The lip mask came in cute pink packaging and I also received a flyer about how to use the mask and what purpose it serves. The lip mask came in a matching pink jar and had a applicator that you would use to scoop out the product. When I opened it, it really surprised me since I was expecting a texture that was more similar to the Water Sleeping Mask. But it was a lip balm texture and smelled like berries. I applied it at night and it was really thick unlike the conventional lip balm. When I woke up the next morning, it was very obvious that the lip product was still there. I’m not used to applying anything on my lips when I sleep so it was very sticky to me. I removed it with a towel first before I brushed and washed up and I felt like it might have removed some of my dry skin on the lips. The outcome though is that it made my lips very smooth but I don’t think it’s very hydrating. I would have to try a few more times to really see if it has any long term hydrating effect. Overall, the lip sleeping mask is not very hydrating and it’s also too thick to substitute as a lip balm but it does make your lips very soft and smooth. 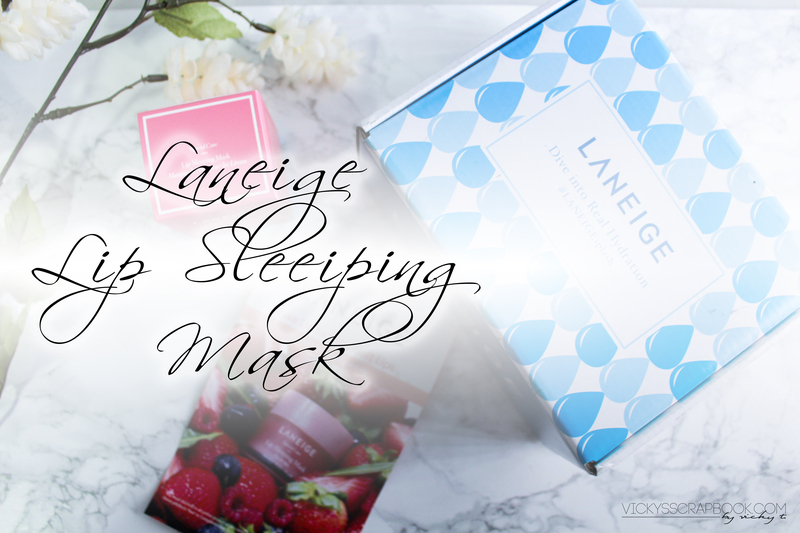 *Note: I had received the Laneige Lip Sleeping Mask complimentary from Influenster to try out but the review is my complete honest opinion. I’m so happy they have a lip mask now! 😀 Really excited to try it, even though it doesn’t sound that hydrating! Pretty packaging gets me every time… ❤ LOL! I’ve heard really great things about this mask, but this is the first review I’ve read that mentioned the texture is like a lip balm! I expected a cream or gel too! That’s good to know that it’s not very hydrating, my lips are sooo dry right now! Never heard of this before Vicky. Interesting!! Me neither, I didn’t know such thing like a lip mask exists… I do have dry lips sometimes, so if I see this somewhere, I’ll have to try it!